Travelers who want to relish cozy, relaxed and quiet accommodations can choose between many high-quality bed and breakfast choices in the area. It doesn't matter if you're looking for a bed & breakfast that has a Victorian feel or one that's decidedly more modern. Complimentary full breakfasts often come with delectable foods such as cereal, pumpkin muffins, fresh fruit and pancakes. Beverage options generally include coffee, tea and juice. Browse our recommended bed and breakfast and choose what fits your style. A quaint country inn nestled in the sunny Santa Lucia Mountains within walking distance to over 20 wine tasting rooms. Our charming inn is a serene valley retreat in a beautiful rural setting. Secluded and tranquil, the Tally Ho Inn offers a true English countryside experience. Indulge in the serenity and romance with as much pampering as you like. 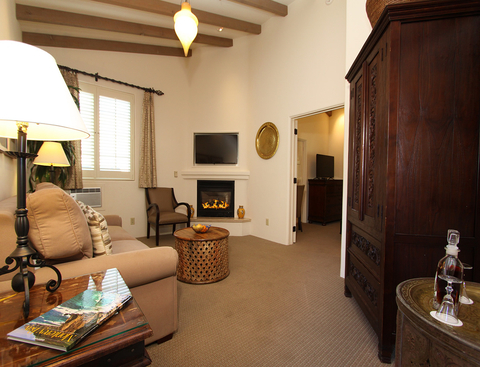 Carmel Lodge is perfectly located in the heart of downtown Carmel-by-the-Sea, California, just steps from fabulous restaurants, art galleries, wine tasting, shopping and the beach.